The first in our 'X-Ray Records' series of vinyl releases is a reissue of one of our most loved tapes, Blue Twelve by Tashi Dorji. 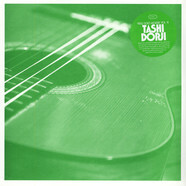 This was Tashi's first set of electric guitar recordings and was originally released in March 2014. Since then he has released a widely-acclaimed LP for Ben Chasny's Hermit Hut label and toured with luminaries and admirers like Sir Richard Bishop. 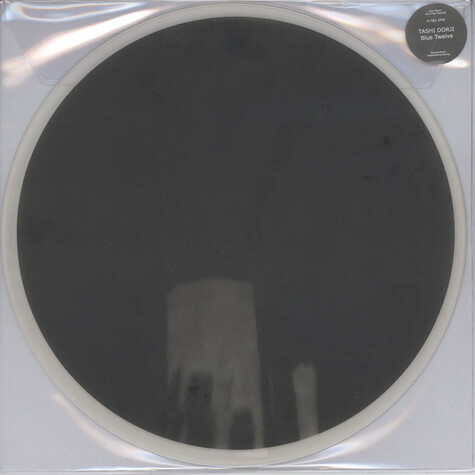 This is a very special LP package on frosted clear vinyl with screen printing that forms a photo negative of the original tape artwork if held up to the light. It doesn’t sound like a guitar. But I know you like guitars, so don’t let that put you off. It sounds less like an instrument, in fact, than many voices - swooping and surrounding the listener. Whispering lovely nonsense-poetry in one ear while its shadow quietly circles you and then shouts abominations in the other ear. You know Forbidden Planet? Yeah, sort of like that. Not music so much as a real-time dialogue of different distinct voices, each with their own character. Except it is a guitar. One guitar. All recorded live, improvised, with no edits or overdubs. What’s more, this is Tashi Dorji’s first ever electric guitar release. His previous cassettes and download albums have stoked up feverish praise from fans. In a recent interview feature on Tashi in The Wire, Ben Chasny was so impressed with Tashi’s gorgeous acoustic improvisations that he formed a label - Hermit Hut - specifically to put out Tashi’s music.